Competition is inevitable in the rental business. You wouldn't be able to run a rental without it, because your area would not be a place that people wanted to come stay. So overall, it's a good thing. We can also learn a lot from our competitors, like how much to charge and when the slow seasons might be. We try to spin it as a positive even though we definitely want all their bookings! P.S. These are the AC air deflectors that we mentioned, we love them and they're working great. It is always good to know what the competition is doing. I base my rates on my neighbor's unit that has been renting for a year longer than I have. I'm delighted to say I just took a 40 night booking for the summer, my off season! wow that is an amazing booking. good for you. funny that your off season is summer. that makes sense for the ski areas. new episode coming soon! 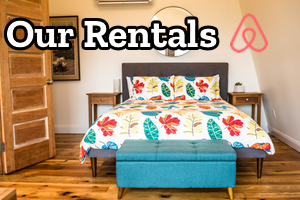 sounds like you have a great plan for setting up a rental. can't wait to hear what you guys decide to do. keep us up to date! i think when you have a good gut feeling for a property, that is a great sign. both properties we bought we knew right away that we wanted them. and they both turned out great. I noticed on your recommended items for cleaning page you wanted to know of a crunchy, recyclable sub for dry swiffer. I listen to your Scavenger Life podcast also, so I know you frequent thrift stores. I use cashmere sweaters that are too ratty to resell. You cut them in squares and push the corners into the swiffer notches, just like the disposable sheets. This picks up the dust so well. Actually any type of wool remnant will do - I have also slid socks over the head of the swiffer. these are great solutions. i used an old washcloth on it the other day too and that worked great. if the materials are wool or cotton, then they can just be thrown in the compost pile when they're no longer usable, which you can't with the swifter ones, you just have to throw them in the trash. thanks for the tips! Love the podcast. We're actually thinking of buying a rental property because of you guys. We live in a semi touristy area, close to Bristol TN which is NASCAR central. So at least for the two races a year we'd have renters. There's lots of mountains & rivers around here, also a covered bridge in town, but it's still not a super tourist area. I second the idea for using washcloths or dustcloths on your Swiffer. 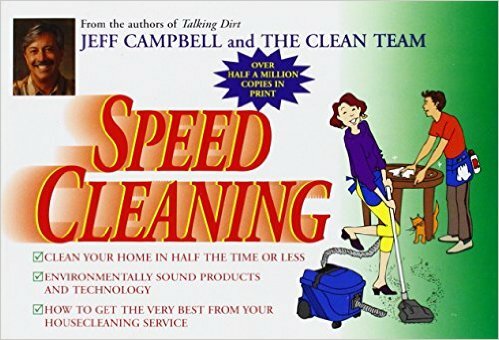 Love the cheap reusability and ease of cleaning! cool! you should look around your area on Airbnb and VRBO and see how booked other places are and how much they're charging. that will give you an idea of the market. I love that you recommended the doughnut place to your renters. When we go somewhere, I like to visit places that the locals frequent, not the touristy places. I think you guys are awesome landlords. I'm loving these podcasts too. My parents live in a very touristy area about a 3.5 hour drive from us and they want to move a bit closer to us and rent their house and have mentioned they would want me to take care of that part of it..this will eventually be part of my inheritance. I don't if or when exactly this might happen, but I'm learning tons from you guys in the meantime. Regardless of whether or not we end up doing this with my parent's house, I foresee myself doing this something in the future. i love me some fresh donuts, that's for certain! i'll be interested to hear how the rental goes, keep us updated.